How to make a will in South Dakota and what can happen if you don't. What Can I Do With a South Dakota Will? name a personal representative, the person who makes sure that the terms of your will are carried out. In South Dakota, if you die without a will, your property will be distributed according to state "intestacy" laws. South Dakota's intestacy law gives your property to your closest relatives, beginning with your spouse and children. If you have neither a spouse nor children, your grandchildren or your parents will get your property. This list continues with increasingly distant relatives, including siblings, grandparents, aunts and uncles, cousins, nieces and nephews. If the court exhausts this list to find that you have no living relatives by blood or marriage, the state will take your property. Do I Need a Lawyer to Make a Will in South Dakota? No. You can make your own will in South Dakota, using Nolo's do-it-yourself will software or online will programs. However, you may want to consult a lawyer in some situations. For example, if you think that your will might be contested or if you want to disinherit your spouse, you should talk with an attorney. Nolo's will-making products tell you when it's wise to seek a lawyer's advice. What Are the Requirements for Signing a Will in South Dakota? S.D. Codified Laws Ann. § 29A-2-502. No, in South Dakota, you do not need to notarize your will to make it legal. However, South Dakota allows you to make your will "self-proving" and you'll need to go to a notary if you want to do that. A self-proving will speeds up probate because the court can accept the will without contacting the witnesses who signed it. To make your will self-proving, you and your witnesses will go to the notary and sign an affidavit that proves who you are and that each of you knew you were signing the will. 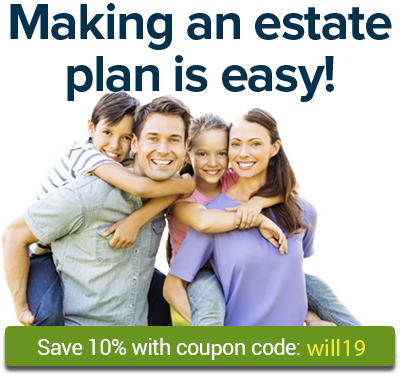 Should I Use My Will to Name a Personal Representative? Yes. In South Dakota, you can use your will to name a personal representative who will ensure that the provisions in your will are carried out after your death. Nolo's will software and online will produces a letter to your personal representative that generally explains what the job requires. If you don't name a personal representative, the probate court will appoint someone to take on the job of winding up your estate. making a new will that says it revokes the old will or that has contradictory terms to the old will. If you have two wills and it's not clear whether you revoked the old will or not, South Dakota has rules that determine whether your new will revokes the old one or simply adds to it. If you intended to revoke the old will, the old will is revoked. South Dakota law presumes you intended to revoke your old will if the new will disposes of all of your estate. If you didn't dispose of all of your estate in your new will, South Dakota law presumes you only meant to add on to your old will. In this situation, the executor should follow the instructions in both wills. If there's a contradictory term, the executor should follow the instructions of the new will for that particular term. S.D. Codified Laws Ann. § 29A-2-507. If you and your spouse divorce (or if a court determines that your marriage is not legal), South Dakota law revokes any language in your will that leaves property to your spouse or names your spouse to be your executor. This rule also applies to any of your spouse's relatives. This rule does not apply if you specifically state in your will (or divorce decree or contract relating to the division of your property) that divorce should not affect the provisions in your will or if you happen to remarry your spouse. S.D. Codified Laws Ann. § 29A-2-804. If you have any concerns about the effects of divorce on your will, see an estate planning attorney for help. Where Can I Find South Dakota’s Laws About Making Wills? You can find South Dakota's laws about making wills here: South Dakota Codified Laws Title 29A Uniform Probate Code Chapter 2 Intestate Succession and Wills Part 5 Wills, Will Contracts, and Custody and Deposit of Wills.